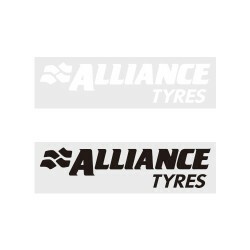 1 x Alliance Tyres Sleeve Sponsor (for Chelsea FC 2017/18 Sleeve Sponsor) Size: Player version size Material: PU type ** Product image for illustration purposes only. Actual product may vary. ..
1 x Basset & Gold Sleeve Sponsor (for West Ham United 2018/19 Sleeve Sponsor) Size: Player version size Material: PU type ** Product image for illustration purposes only. Actual product may vary. ..
1 x BIA Saigon Sleeve Sponsor (for Leicester City FC 2018/19 Sleeve Sponsor) Size: Player version size Material: PU type ** Product image for illustration purposes only. Actual product may vary. 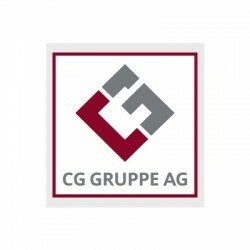 ..
1 x CG GRUPPE AG Sleeve Sponsor (for RB Leipzig 2017/18 Sleeve Sponsor) Size: Player version size Material: PU type Manufacturer By: Dekographics ** Product image for illustration purposes only. Actual product may vary. ..
1 x CYGAMES Official Sponsor Printing (for Juventus 2017/18 Away Shirt) Size: Player version size Material: PU type Made By Dekographics. ** Product image for illustration purposes only. Actual product may vary. ..
1 x CYGAMES Official Sponsor Printing (for Juventus 2017/18 Home / Third Shirt) Size: Player version size Material: PU type Made By Dekographics. ** Product image for illustration purposes only. Actual product may vary. ..
1 x CYGAMES Official Sponsor Printing (for Juventus 2018/19 Home / Away Shirt) Size: Player version size Material: PU type Made By Dekographics. ** Product image for illustration purposes only. Actual product may vary. ..
1 x CYGAMES Official Sponsor Printing (for Juventus 2018/19 Third Shirt) Size: Player version size Material: PU type Made By Dekographics. ** Product image for illustration purposes only. Actual product may vary. 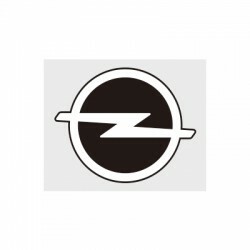 ..
1 x DE GEA 1 Official Name and Number Printing - Player Version (for Manchester United FC 18/19 Home Goalkeeper Shirt) Size: Player version size Material: PU type Made by: Thermopatch ** Product image for illustration purposes only. Actual product may vary. ..
1 x HAMAD AIRPORT QATAR Official Sponsor Printing (for FC Bayern Munich 2017/18 Home / Away Shirt) Size: Player version size Material: PU type ** Product image for illustration purposes only. Actual product may vary. 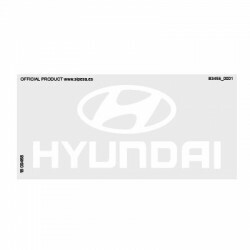 ..
1 x Hyundai Sleeve Sponsor (for Atletico Madrid 2018/19 Home Sleeve Sponsor) Size: Player version size Material: PU type Made by: Sipesa.es ** Product image for illustration purposes only. Actual product may vary. 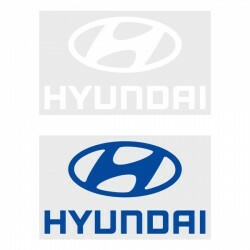 ..
1 x Hyundai Sleeve Sponsor (for Chelsea FC 2018/19 Sleeve Sponsor) Size: Player version size Material: PU type ** Product image for illustration purposes only. Actual product may vary. 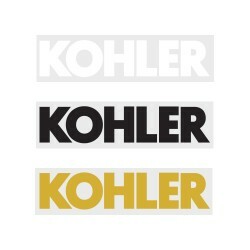 ..
1 x Kohler Sleeve Sponsor (for Manchester United 2018/19 Sleeve Sponsor) Size: Player version size Material: PU type Manufacturer by: Thermopatch ** Product image for illustration purposes only. Actual product may vary. 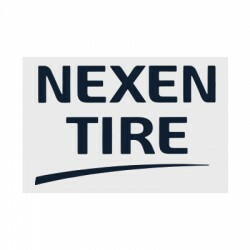 ..
1 x NEXEN TIRE Sleeve Sponsor Printing (for Manchester City 2017/18 Away Shirt Sleeve Sponsor) Size: Player version size Material: PU type ** Product image for illustration purposes only. Actual product may vary. 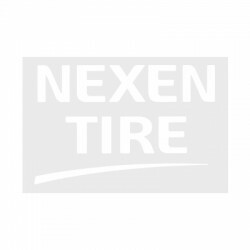 ..
1 x NEXEN TIRE Sleeve Sponsor Printing (for Manchester City 2017/18 Home Shirt Sleeve Sponsor) Size: Player version size Material: PU type ** Product image for illustration purposes only. Actual product may vary. 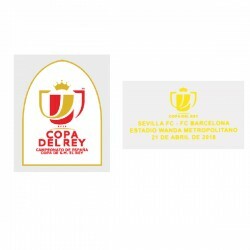 ..
Official Copa Del Rey 2015 Patch + Final Match Detail (For Barcelona) ..
Official Copa Del Rey 2018 Patch + Final Match Detail (For Barcelona) ..
1 x Official Infinite Iniesta Last Match Details Printing (for Barcelona 2018/19 Home Shirt) Size: Player version size Material: PU type Made by: Avery Dennison ** Product image for illustration purposes only. Actual product may vary. .. Sporting iD (SiD) will be supporting The Royal British Legion by supplying heat transfer poppies for application to Premier League and EFL club kits. For Remembrance Day 2016 The Royal British Legion and SiD have opened up the sale of the official heat transfer poppies not just to clubs but..
1 x Official Supercopa De España Patch + Match Detail Printing (For FC Barcelona / Real Madrid 2017/18 Shirt) - FC Barcelona 2017/18 SUPERCOPA 13/8/2017 Sleeve Patch + Match Detail Printing (Yellow) - Home Shirt - FC Barcelona 2017/18 SUPERCOPA 16/8/2017 Sleeve Patch + Match Detail P..
1 x Official Supercopa De España Patch + Match Detail Printing (For FC Barcelona 2016/17 Shirt) Material: PU Size: Player size ..
1 x Official Totti Una Squardra La Vita Badge (For As Roma 2017/18 Home Shirt) Size: Player Version size Material: PU Type Manufacturer: Stilscreen S.R.L ** Product image for illustration purposes only . Actual product may vary . ..
1 x Official UEFA Champions League Final Cardiff 2016/17 Match Details Printing (for Real Madrid 2016/17 Away / Juventus 2016/17 Home Shirt) Size: Player version size Material: PU type ** Product image for illustration purposes only. Actual product may vary. 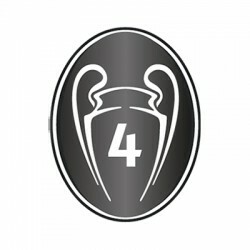 ..
1 x Official UEFA Champions League Final Match Details Printing (for Real Madrid 2017/18 Home Shirt) Size: Player version size Material: PU type ** Product image for illustration purposes only. Actual product may vary. ..
1 x Official UEFA Super Cup 2017/18 Match Details Printing (for Real Madrid 2017/18 Away Shirt) Size: Player version size Material: PU type ** Product image for illustration purposes only. Actual product may vary. ..
1 x OPEL Sleeve Sponsor Printing (for Borussia Dortmund 2017/18 Home/Away/Third Sleeve Sponsor) Size: Player version size Material: PU type ** Product image for illustration purposes only. Actual product may vary. ..
Paris Saint-Germain Home Vapor Match Shirt 2018-19 Ici, c’est Paris – the 7 time champions coming off the back of an incredible season will be battling to retain their title in the dynamic style of the Paris Saint-Germain 2018-19 Home Vapor Match Shirt. Nike’s signature Vap..
1 x Qatar Airways Sleeve Sponsor (for FC Bayern Munich 2018/19 Home Shirt) Size: Player version size Material: PU type ** Product image for illustration purposes only. Actual product may vary. ..
1 x Save the Child Back Sponsor (for Atletico Madrid 2018/19 Home Back Sponsor) Size: Player version size Material: PU type Made by: Sipesa.es ** Product image for illustration purposes only. Actual product may vary. ..
1 x Save the Child Back Sponsor (for Atletico Madrid 2018/19 Third Back Sponsor) Size: Player version size Material: PU type Made by: Sipesa.es ** Product image for illustration purposes only. Actual product may vary. ..
1 x SCB Sleeve Sponsor (for Leicester City FC 2017/18 Sleeve Sponsor) Size: Player version size Material: PU type ** Product image for illustration purposes only. Actual product may vary. ..
1 x SCHWEINSTEIGER 7 Official Name and Number Printing (For Germany 2016 Home Shirt / Germany 2017 Confederation Cup Home Shirt) Size: Player Version size Material: PU Type ** Product image for illustration purposes only . Actual product may vary . ..
1 x SĒLECO Official Sponsor Printing (for SS Lazio 2016/17 Copa Italia Final Match Shirt) Size: Player version size Material: PU type Made By Dekographics. ** Product image for illustration purposes only. Actual product may vary. ..
1 x SĒLECO Official Sponsor Printing (for SS Lazio 2017/18 Home / Away Match Shirt) Size: Player version size Material: PU type Made By Dekographics. ** Product image for illustration purposes only. Actual product may vary. ..
1 x SĒLECO EASY LIFE Official Back Sponsor Printing (for SS Lazio 2017/18 Home / Away Match Shirt) Size: Player version size Material: PU type Made By Dekographics. ** Product image for illustration purposes only. Actual product may vary. ..
1 x South Korea Sleeve Flag (for South Korea 2018 Home / Away Shirt) Size: Player version size Material: PU type ** Product image for illustration purposes only. Actual product may vary. 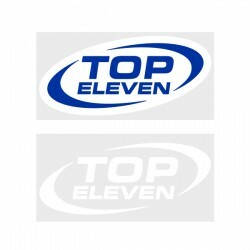 ..
1 x Top Eleven Sleeve Sponsor Printing (for Stoke City 2017/18 Shirt) Size: Player version size Material: PU type ** Product image for illustration purposes only. Actual product may vary. 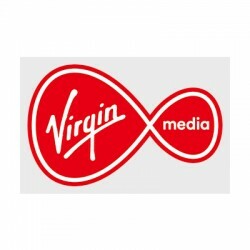 ..
1 x VIRGIN MEDIA Sleeve Sponsor Printing (for Southampton FC 2017/18 Home Sleeve Sponsor) Size: Player version size Material: PU type ** Product image for illustration purposes only. Actual product may vary. ..
1 x Visit Rwanda Sleeve Sponsor (for Arsenal 2018/19 Shirt) Size: Player version size Material: PU type ** Product image for illustration purposes only. Actual product may vary. ..
1 x Western Union Sleeve Sponsor - Player Size (for Liverpool FC 2017/18 Sleeve Sponsor) Size: Player version size Material: PU type ** Product image for illustration purposes only. Actual product may vary. ..
As the Lions celebrate their 120th anniversary, the club looks forwards to the future with a refreshed look on the Athletic Bilbao 2018-19 Home Shirt suiting the team’s new era. The classic rojiblanco stripes are widened to just two broad red stripes running down a white..
Los Colchoneros make a bold change to their classic stripes, with a sharp gradient switching red to white for a dynamic look that stands out on the Atlético de Madrid 2018-19 Home Stadium Shirt. Matching the look worn at the Wanda Metropolitano, the Stadium Shirt has a looser.. Authentic Sporting ID The F.A. Premier League Patch Champions 1999-2000 - Player Size​ (per pair) For Manchester United FC ..
For all who dream of scoring that last-minute winner in front of the Jock Stein Stand, the Celtic Home Shirt 2018-19 keeps the club’s synonymous green and white hoops at the forefront; unmistakable design DNA that has inspired countless generations of Parkhead heroes. As the B..
Get the authentic blues experience as the club head in to a new era with the Chelsea Home 2018-19 Vapor Match Shirt. Launching the club in a fresh direction with a dramatic twist on the classic kit, the shirt incorporates red and white flashes across the rush blue design. An additional nod to t..
1 x Driver Official Rear Printing for Inter Milan 2016/17 Home Shirt (for Inter Milan 2016/17 Home Shirt) Size: Player version size Material: PU type ** Product image for illustration purposes only. Actual product may vary. ..
1 x Driver Official Rear Printing for Inter Milan 2016/17 Third Shirt (for Inter Milan 2016/17 Third Shirt) Size: Player version size Material: PU type ** Product image for illustration purposes only. Actual product may vary. 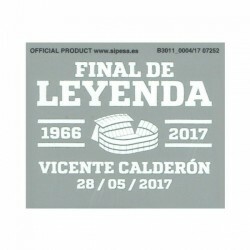 ..
1 x Final De Leyenda Match Details Printing Suitable for Atletico Madrid 2016/17 Home Shirt Manufacturer: Sipesa Material: PU Type ** Product image for illustration purposes only . Actual product may vary . ..
1 x Italy vs Marcedonia 06.10.2017 Match Details Printing Suitable for Italy World Cup 2018 Hoem Shirt Manufacturer: Stilscreen Material: PU Type / Digital Printing ** Product image for illustration purposes only . Actual product may vary . ..
1 x KOKORIN 9 Official Russia 2017 Confederation Cup Home Name and Numbering Suitable for Russia 2017 Confederation Cup Home Shirt Material: PU manufacturer: Dekographics Official Products from Licensed Manufacturer. ** Product image for illustration purposes only. Act..
1 x Mutuelles Du Soleil Sleeve Sponsor (For Olympique Marseille Away Shirt) (For Olympique Marseille 2016/17 Away Shirt) Size: Player Version size Material: PU Type Manufacturer by: Monblason ** Product image for illustration purposes only . &nbs..
1 x Qatar Airways Official Printing for Barcelona Fc 2016/17 Home / Away Shirt (For Barcelona 2016/17 Home / Away Shirt) Size: Player Version size Material: PU Type ** Product image for illustration purposes only . Actual product may vary ..
1 x Qatar Airways Official Printing for Barcelona FC 2016/17 Third Shirt (For Barcelona 2016/17 Third Shirt) Size: Player Version size (Adult) Material: PU Type ** Product image for illustration purposes only . Actual product may vary ..
1 x QNB Sleeve Sponsor (For Paris Saint-Germain 2016/17 Third Shirt) ..
1 x Rakuten Official Printing for Barcelona FC 2017/18 Home Shirt (For Barcelona 2017/18 Home Shirt) Size: Player Version size Material: PU Type ** Product image for illustration purposes only . Actual product may vary . ..
1 x Triangle Interim Official Sleeve Sponsor Printing for AS Monaco 2016/17 Home / Away Shirt (For AS Monaco 2016/17 Home / Away Shirt) Size: Player Version size Material: PU Type Manufacturer by: Monblason ** Product image for illustration purposes only&nb..
1 x Triangle Interim Official Sleeve Sponsor Printing (For AS Monaco 2017/18 Home / Away Shirt) Size: Player Version size Material: PU Type Manufacturer by: Monblason ** Product image for illustration purposes only . Actual product may vary&..
1 x ANDRÉ SILVA 9 Official Name and Number Printing (for Portugal World Cup 2018 Home Shirt) Size: Player version size Material: PU type Made By Sporting ID ** Product image for illustration purposes only. Actual product may vary. ..